Since the club started just over a year ago, we have been fairly relaxed about membership, adopting an unwritten rule of coming along for 5 or 6 runs, and if you still enjoy it, then we’d be looking for you to commit to membership. We have been advised however that our try before you buy, introductory phase should be limited, therefore we are capping club outings to a maximum of 3 before we’d require membership to be completed. For those new to the club or who have yet to make it along, please feel free to make full use of the allocation as a taster of what is on offer. 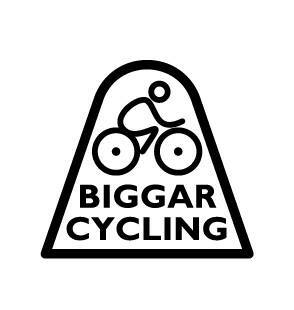 We ask you to email the club before attending at info@biggarcyclingclub.co.uk. If you’re now in a position where you’ve used up all your tokens, not a problem at all, but can we kindly ask that you sign-up as soon as possible if you intend to continue coming out with the club. Q: What is the cost of becoming a member? A: 2017 annual fee is £15. A: Primarily for club liability, providing club insurance should there be an accident involving a member of the public. The fee also helps cover the annual British Cycling subscription and annual website costs. Q: Does membership cover me for individual accidents / bike breakages / thefts etc? A: No. Individual insurance is advised, however is not a requirement of becoming a club member. Q: What does club membership get me? A: BCC offer up to 5 organised outings per week, either on the road or on the trails, open to all levels of bike experience and fitness, with a view to improving confidence and enjoying the social aspect of group cycling. Social events and trips away are also organised throughout the year, and getting out with the club is a great way to meet others with a similar biking interest, making new friends within our local community. Additionally, becoming a member entitles you to a club discount on bike repairs and servicing at Big Mountain Bikes based in Crawfordjohn. Q: Is there a minimum age to become a member? A: You can join at the following link Club Alternatively you can pay direct and provide a few personal details to the Club Secretary. Please email info@biggarcyclingclub.co.uk if you have any further questions.